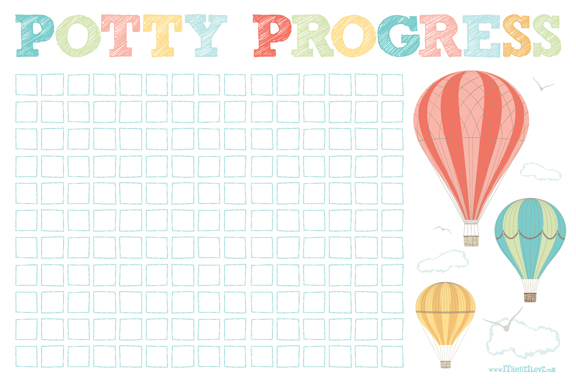 Potty Progress & Free Printable! We have made it to that point in Amelie's life where we spend most of our time in the bathroom. Reading books, watching shows on Netflix, playing games on my phone, singing songs, talking about life, etc. "How much time could you possibly spend in the bathroom on one given day?" you might ask. Well, I'll tell you. Pretty much all day Wednesday until she FINALLY did her deed at 3pm, and then again yesterday at 5:30pm. She's got #1 down like no one's business, but #2 has been a whole different beast for her. My husband and I take turns keeping her company and patiently (sometimes not so much on my part) cheering her on. Yesterday when she was down for her nap, I made a little something for her. 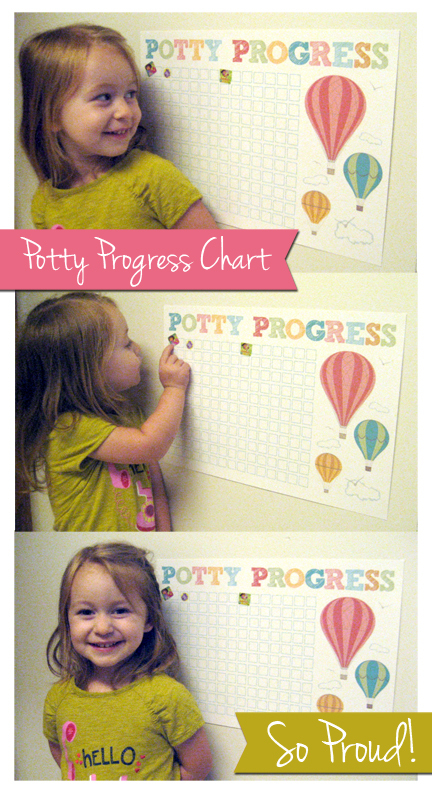 I was thinking if she's a visual learner like her daddy and I are, A Potty Progress Chart was a necessity. I've been doing some research and regardless of the m&m rewards she gets when she goes (1 for pee pee and 2 for poo poo), she's still having a little trouble going big potty. So, now we have a new chart and lots of stickers! When she woke up from her nap, she was crying from her bed saying her hiney hurt so I ran her to the potty to go, but she still wouldn't go. I tried lots of tricks that I kept reading about online like, giving her privacy, reading books, and even telling her that her poop will feed the fish in the ocean. ha! But when I showed her the chart I made, she lit up and I explained to her that she will get 1 sticker for pee pee, 2 for poo poo and when she fills the chart up all the way, we will take her to the store to pick out a new toy. OH BOY! What a difference. Today she went big potty at 1pm without any assistance at all and she currently has 10 stickers on her chart! She loves picking out the sticker and finding a square to put it on. It helps her and I both see the progress she's making and she's going to get that toy in no time now, I'm sure of it! So, for all you other struggling potty trainers, here is a freebie for you to adorn on your bathroom wall at home. It's 18x12, but you could downsize it to fit on a letter size if you don't have a large format printer. You can also laminate it so it's reusable! Click on the link and download for free… feel free to share!